Hello! I feel like we talk about NOT comparing ourselves to others a lot on social media. We all know we shouldn’t compare our bodies or our lives to pictures on Instagram or Facebook. And you might think you’re really good at NOT comparing yourself to the people you follow on social media or in real life. Maybe you know better than to compare your weight, body, hair, size of your nose, ability to plate a salad like you’re Martha Stewart… you know better than to judge yourself based on someone else’s measuring stick. But are you comparing your fitness level or running ability to someone else’s?? Let’s talk about it! It’s one thing to say, “I wish I was that fast!” under an Instagram post. Sure that can be a different way to compliment someone – you’re telling them they’re fast! If you want to compare yourself to someone else make sure that you stack it up compare yourself to someone has ALL the same physical traits, experience, financial resources, time, mental strength and access to running resources/information – before comparing. So I put together a list of factors to consider before you compare yourself to another runner. If ALL of these are identical to your current situation… then, you can use someone else’s info to help you assess how you’re doing. But if you do find someone that has ALL of these factors exactly the same as you – they might be you from the future. And that means you have found a time machine and instead of comparing yourself… maybe just in the time machine and do something epic instead, okay? You shouldn’t compare yourself to anyone else. You have different strengths and weaknesses than the people are you. 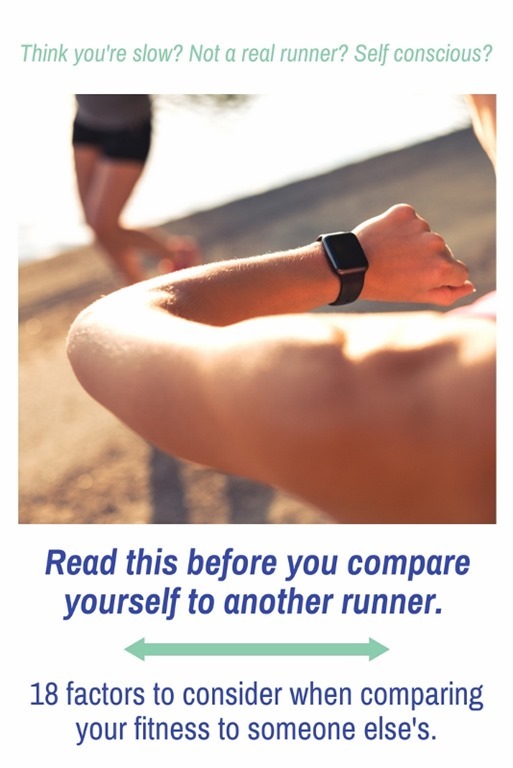 Instead of comparing yourself to someone else… track your progress. This is just you assessing your improvement based on your past or future goals and training. How much effort it takes to run a certain workout. Did it used to kill you to run a certain hill but now it’s easy peasy? Track that in a log using an effort scale. 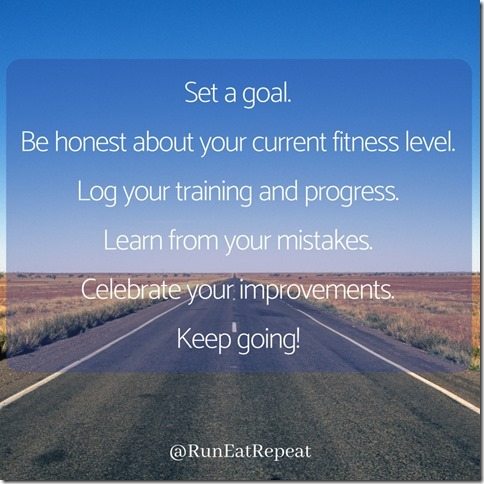 Your own goals – fitness, personal, balance, etc. 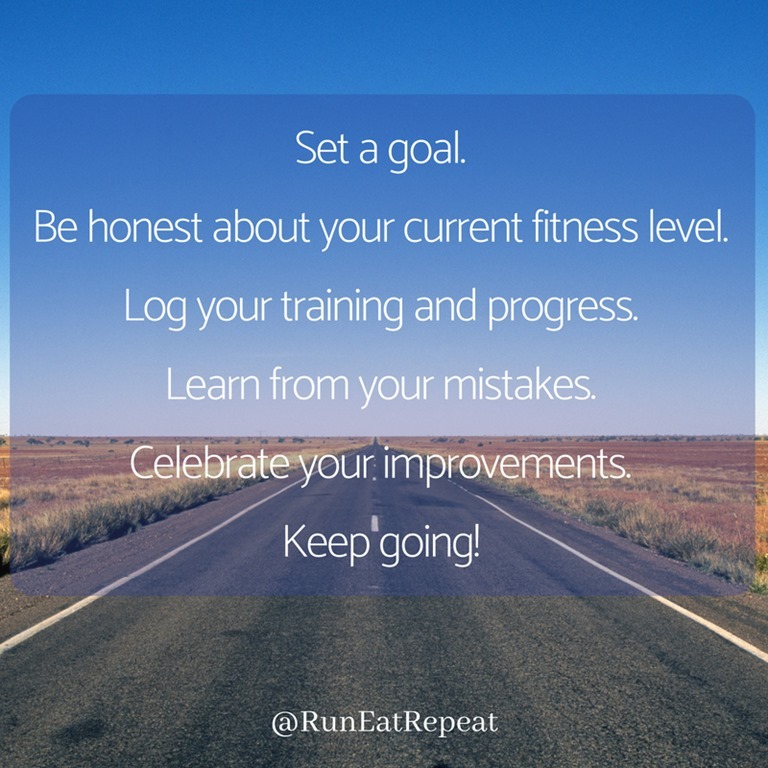 Note – you have to set a goal if you want to be able to track progress. If you don’t have a specific factor to compare different points in your training – how can you know you are improving? If it’s not based on numbers then it’s just your opinion on that day. Then, you might end up measuring your progress based on how you feel any given day – which isn’t super helpful. Set a goal. Be honest with your current fitness level. Log your training and progress. Learn from your mistakes. Celebrate your improvements. Keep going! 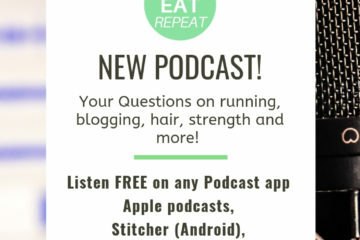 Chime in on my daily Instagram Run Report today with your workout! Thank you for listening! 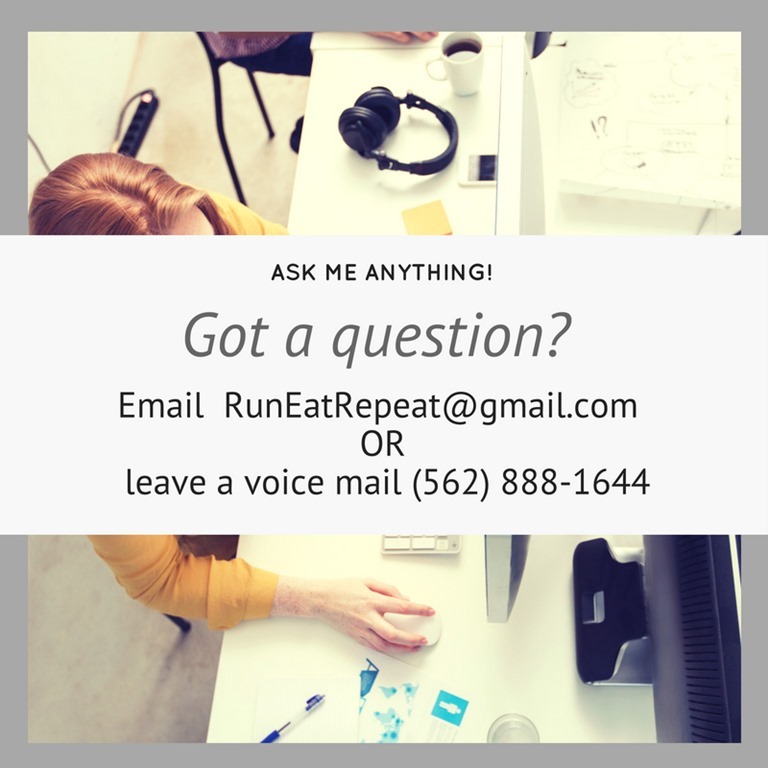 Join in the conversation on the Run Eat Repeat Facebook page or Run Eat Repeat Instagram! I totally agree that so many different things can affect the way you exercise. Never compare yourself to other people, just keep striving to do better than yesterday. Not to mention, different work outs can help you achieve different goals. It’s important to talk about this topic and to that, I give you my respect. Good blog and podcast! 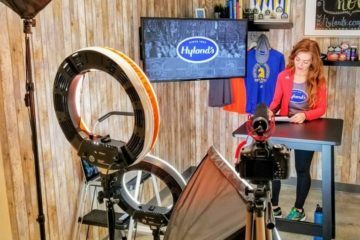 It’s interesting – – one of my favorite bloggers talked about the importance of never comparing yourself to other Runners, but I guess there is a healthy way of doing so?